Lion Rank is one of Austin’s leading SEO and digital marketing firms. Several things set them apart, including their month-to-month contracts. They’re so confident in their ability to get you front page results that they won’t lock you in to a long-term contract. They also provide real-time tracking and analytics so that you can know exactly how they’re creating value for your business. Local Surge Media has its roots in the late 90s, right before the great internet boom. Since that time, their team has been gaining experience in getting websites to the top of the Google page rankings. They do this by optimizing sites for search engines with the latest web and tech trends in mind. 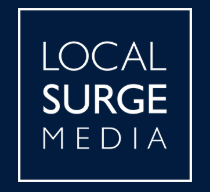 Their focus on results means that, if you use Local Surge Media, you can expect to see growth. Motiliti allows data to drive everything that they do in the pursuit of higher search rankings. They’re one of Austin’s leading SEO and digital marketing agencies. And the reason why is clear: they’ve got over a decade of experience and a track record of helping hundreds of clients achieve greater success. Their solid track record should make choosing them as your digital marketer a clear choice. Search RPM has a simple but effective approach to developing SEO-friendly websites. They inspect your site’s current SEO with the latest technical standard in hand. This allows them to get a good grasp on what’s wrong – and right – with your site. Then, they build your page back up with effective SEO, one page at a time. Finally, they build connections to your site via a variety of means so that your Google page rank will move to the top. Tasty Placement is one of the leading SEO and digital marketing firms in Austin, Texas. Few if any agencies can match their Google certifications, experience, book authorship, reputation, or success. If you’re looking for the very best – and the results that the best can buy – then look no further than Tasty Placement. They have the results to back up their reputation. Specializes in SEO, Pay Per Click, Web Development, Social Media Marketing. Geek Powered Studios is a full service online marketing agency that works closely with its clients to help them grow. They have an experienced team of professionals whose diverse skills can meet your marketing needs, no matter what they are. They create strategies that work and then monitor the health of your site to make sure that you get the most out of your marketing dollars. Complete SEO is a data and process-driven SEO and online marketing firm based out of Austin, Texas. They focus on four big areas: effective SEO, engaging web design, efficient PPC campaign management, and wordpress optimization. By building a strategy around these four areas, they are able to build a comprehensive strategy that leads to growth. Lucid Crew Web Design is one of metro Austin’s top web design agencies. Their focus is simple: to help your audience to clearly receive your message. In pursuit of that goal, they can build you a new site, update your current one, and much more. They’ve been focusing on creativity, innovation, and effectiveness since 1999. Specializes in Web Design, Social Media Marketing. If your site needs more customers, Insignia SEO can help you gain traffic and new customers. They’re one of Austin’s leading SEO and digital marketing agencies. They offer a range of services, including web design, PPC advertising, and much more. Thrive was founded in 2005 as a one-man startup that has grown to a full-service digital marketing agency with over two dozen employees. Their innovative team is well-versed in a variety of technologies and development paradigms. They can help you develop an SEO friendly site, keep updated content flowing, and drive traffic to your site through pay per click and social media marketing.